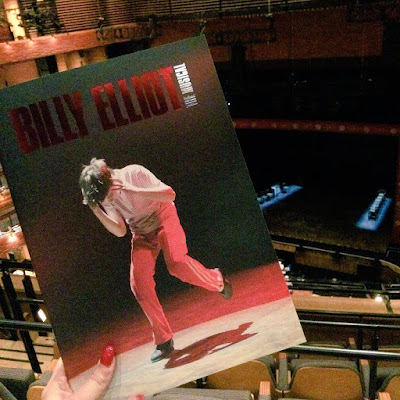 If you keep up to date on my blog and social media, you will remember the period of me falling completely and utterly in love with Billy Elliot when it premiered the UK tour in Plymouth back in February. I saw the show five times during its run in Plymouth, including its dress rehearsal, press night and closing night- as you can see, I quickly became super attached to this production. Check out my first review of the tour here. 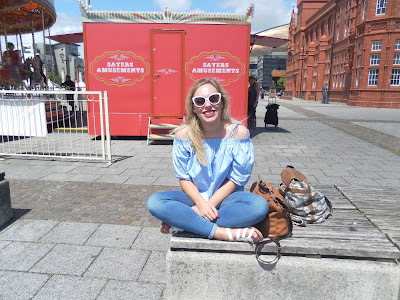 On Saturday 2nd July we hopped onto a train to Cardiff, Wales to catch the matinee performance! I have visited Cardiff a brief couple of times in the past, but it was so nice to properly explore this time around. 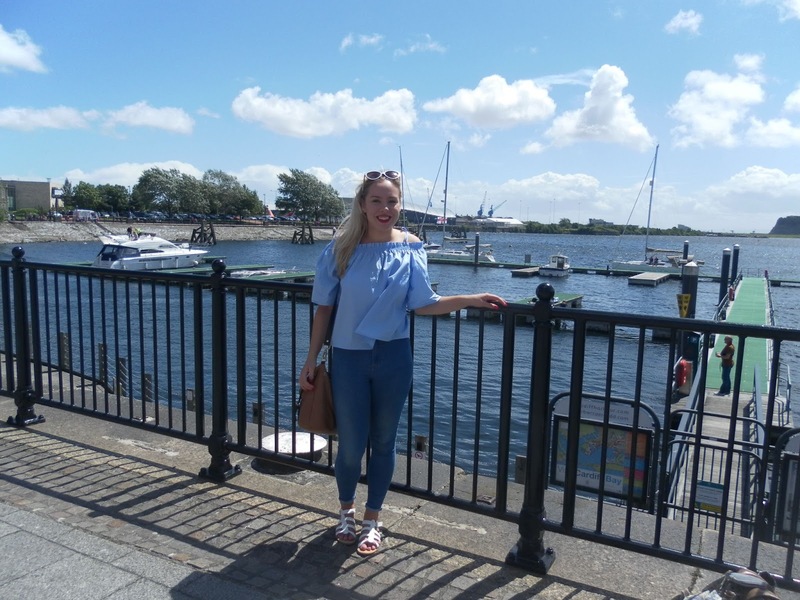 Me and Megan fell in love with the idyllic Cardiff Bay where the gorgeous Wales Millennium Centre theatre was situated across the road from the harbour. It was really interesting to compare the production from its first ever performance to being on the road for a good five months. Its obvious that it has definitely found its feet now; everything about it is slick and the actors seem completely comfortable and at home in their roles. Its stronger than ever before. 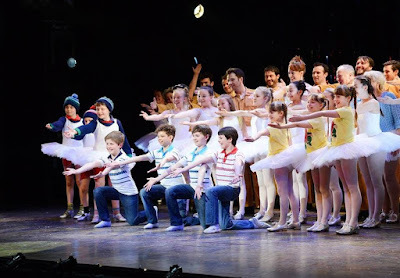 There were a few tiny changes that I noticed since its first run; including slight random costume changes for a few ballerinas and miners and possibly a few minor orchestral changes I noticed too. 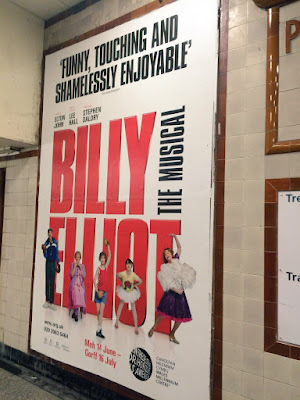 Matthew Lyons played Billy at this performance. I couldn't get over how much he has improved since first seeing him perform back in February. He seems so comfortable in the role now, strolling effortlessly through the long show. I noticed that his vocals in particular have improved massively, his rendition of 'Electricity' bought me to tears. 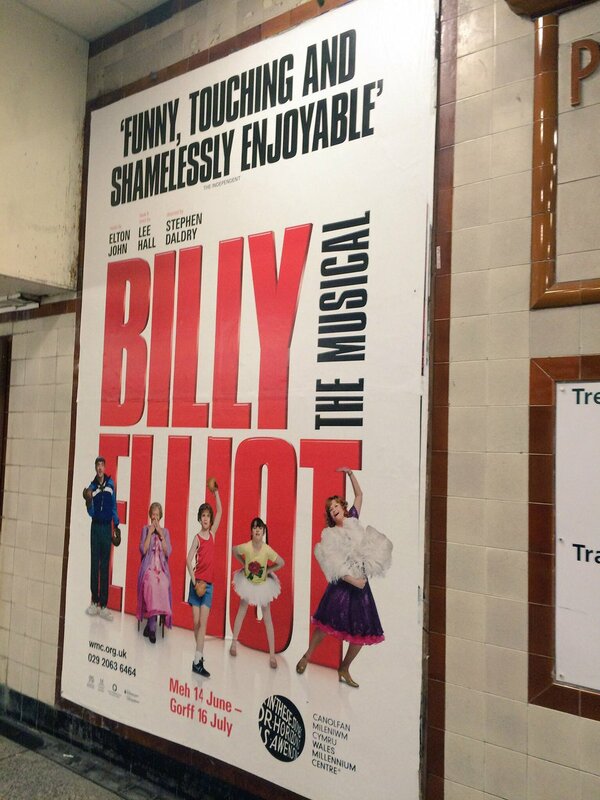 He is full of cheeky charisma and outstanding talent, making the perfect Billy. 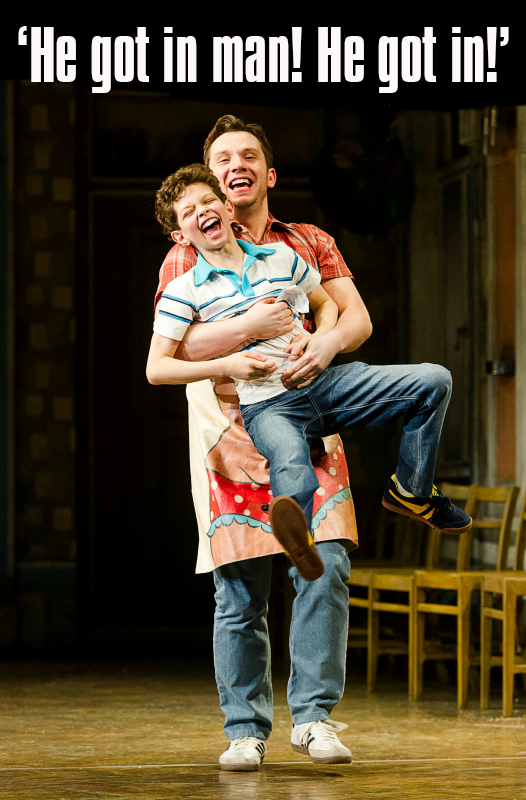 Bradley Mayfield has only very recently joined the cast as Billy's bold and hilariously camp friend, Michael. He has settled into the role amazingly well, giving such an impressive performance. Bradley lights up the stage with perfect comedic timing and his tap skills during 'Expressing Yourself' are particularly outstanding. Italia Ross plays a hilarious Debbie and is accompanied by the rest of a fantastic young ensemble of ballet girls. 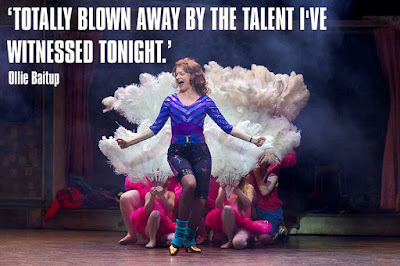 Credit to Billy Elliot Musical Facebook page. A stand- out performance of the whole show for me is Scott Garnham as Tony, Billy's older brother and face of the miner's strike. I've seen Scott in this role all six times I have watched this production now and each time his performance truly blows me away. I couldn't think of an actor more suited to this role. Before, I had never been a fan of the character of Tony as he was usually played so aggressively, a somewhat 2D character who seemed almost dead behind the eyes to me. However Scott's portrayal changed my whole opinion of Tony; he brings so many new sides to the character- he is not just an aggressive miner anymore, he is full of passion, humour, charm and heart. He is a fantastic example of a triple threat performer as he shows his slick skills in acting, singing and dancing throughout the show. Tony's character development is one of my favourites in the show as he progresses from an angry, aggressive, downhearted miner to a supportive big brother and son with a whole lot of heart. A truly impressive performance from Scott Garnham. 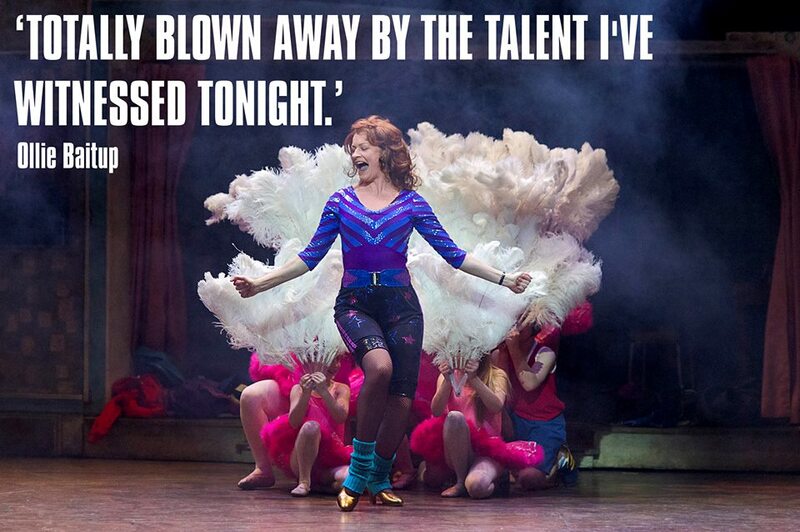 Annette McLaughlin never fails to bring me to tears with her performance as Mrs Wilkinson. Starting the show with a fabulous explosion of energy with her performance of 'Shine', she develops the character with great humour and passion and ends with a heart- wrenching, tender moment between her character and Billy. She portrays this dynamic character perfectly. It is no doubt that the ensemble cast is what makes this show what it is. This ensemble is the best I've seen in a long time, helping to develop this poignant story as miners, policemen, parents, 'scabs', and even dancing dresses. Each member brings energy and personality to the stage, not to mention the outstanding vocals and dance performances. 'Solidarity' is one of my favourite theatrical routines ever, and this is fueled by the fantastic performances of the ensemble. Other creative aspects of the show tie everything together perfectly. Nicky Gillibrand provides fantastic costumes, staying very true to the 80s inspired fashions including leg warmers, dance leotards, suit skirts and of course lots of miner's all-in-ones. Each costume is individually constructed to outwardly express the character's personality- "Who the hell cares if you put on a dress..?!" Rick Fisher provides some of the very best lighting design that I've seen in theatre. A full variety of lighting is used throughout the production, ranging from glitzy, colourful lights in 'Expressing Yourself' to beautifully simple use of shadows during Billy's tender moments of contemporary dance. The lighting is used to its full potential to effectively portray the full spectrum of emotions and situations of the narrative. Ian Macneil has created the iconic set, providing a simple yet beautiful array of backdrops to the story. The attention to detail is amazing, with use of exact replicas of contemporary props such as 80s kitchen products and magazines to portray the era effectively and believably. 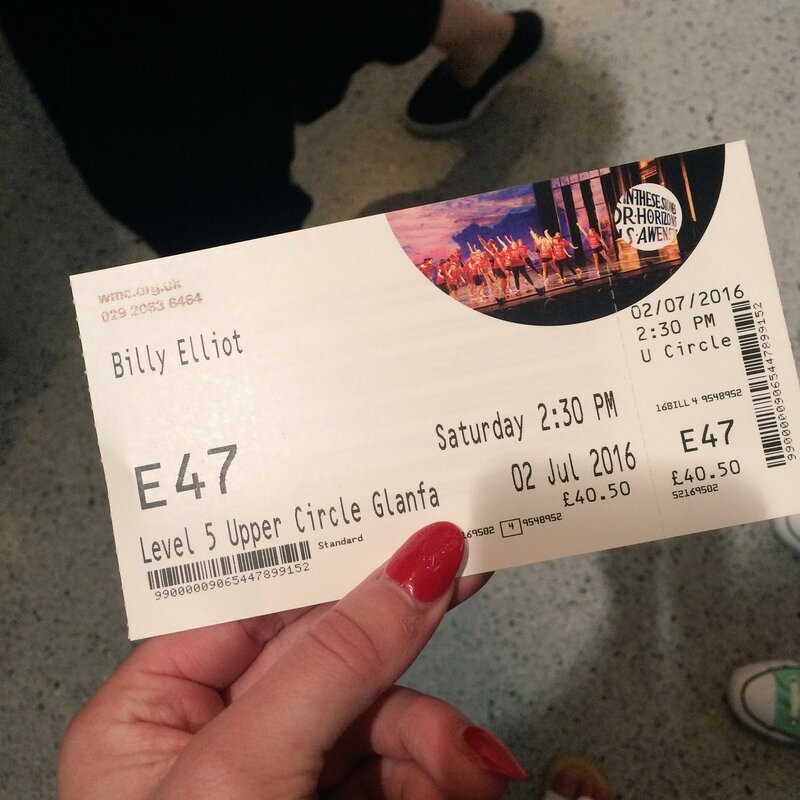 Of course, Elton John's music is utterly stunning and is the icing on the cake to this loved production. From the very first note of 'The Stars Look Down' to the end of the finale, I am covered in goosebumps as the score is so emotive and touches me every time I hear it. The amazing pit band, under the direction of Patrick Hurley, convey this beautiful score perfectly in this touring production. 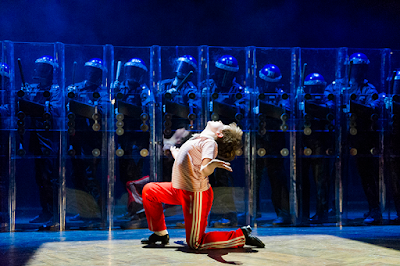 One of the main aspects of this show is obviously the dance and the choreography (originally by Peter Darling and tour associates Ellen Kane, Alison Levenberg and Glenn Wilkinson) is revolutionary for theatre. It encompasses ballet, tap, hip hop, jazz, acrobatics, and even folk dancing. Everything about this show comes down to the choreography and it is nailed down to a T.
As you can see, I could probably talk about this production all day. I've become hugely attached to it, from watching it grow from its production and rehearsal stage to its touring life. Its quickly become one of my favourite shows of all time as it portrays a beautifully emotive story that I can completely resonate with, full to the brim with outstandingly talented performances. I obviously give this production a perfect ★★★★★. 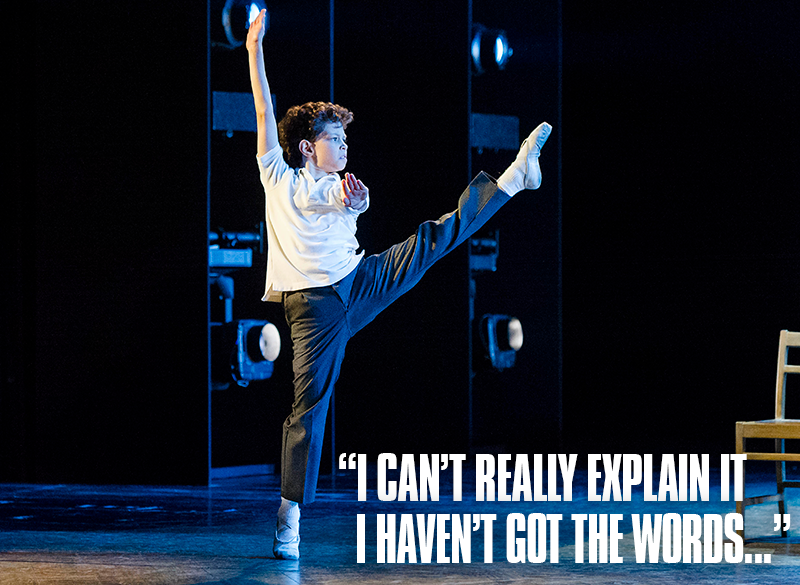 Make sure you catch Billy Elliot on its national tour all around the UK. 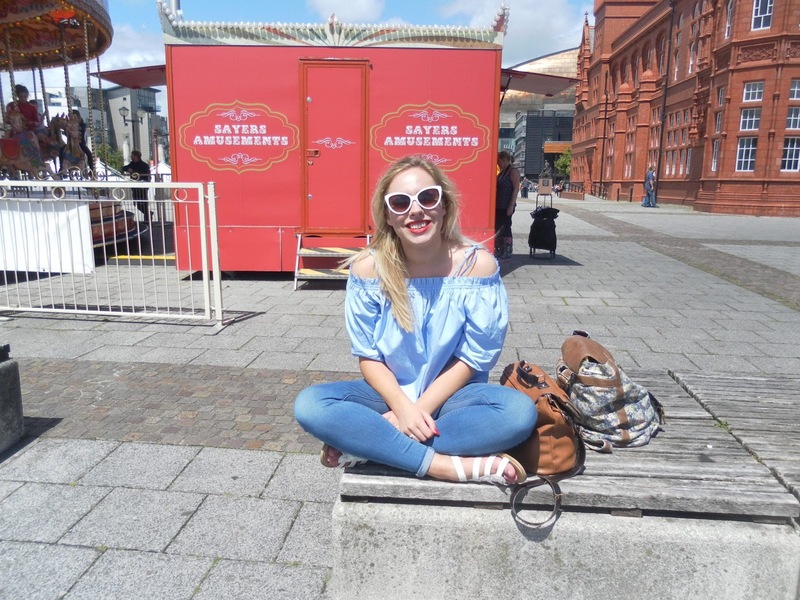 Its currently showing in Cardiff, with its next stop in Dublin later this month. 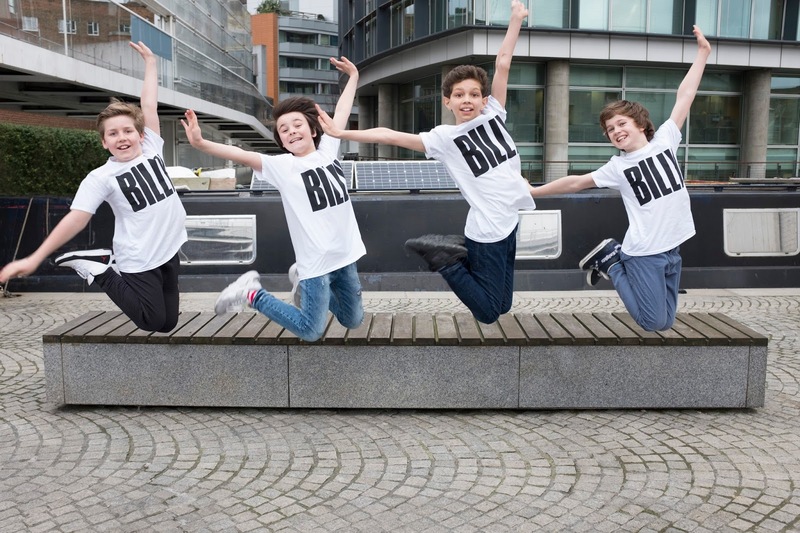 Check out billyelliotthemusical.com for more details. Disclaimer: All opinions and thoughts are my own. Photos are credited.